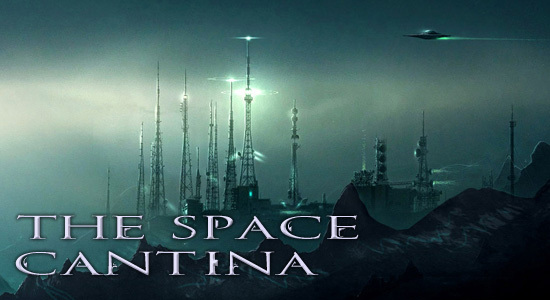 The Space Cantina – What is next after 36 Hours? Hello readers! So I was working on the last few posts for 36 Hours today and realized that it’s soon coming to an end. We might have three posts left and then it’s all done. So that begs the question: what’s next? Well I’ve built up a small little base of readers here, more than ten I’d say, who visit me quite often! That’s pretty fantastic! I’m thrilled and humbled and would like to offer you guys an opportunity to ask questions and tell ME what you’d like to see in my next blog project. You’ve seen some Fan Fic, some Horror Sci-Fi, some fantasy if you read The Squire and now some Steampunk (even if it was light Steampunk). So, if anyone’s inclined, what kind of story would you like to see next? Should I get any responses I’ll take them into consideration and see what I can do! Also, if you have any questions about current and past projects, ask away! This entry was posted in Space Cantina and tagged 36 Hours, blog fiction, Mike Kern, new projects, old projects. Bookmark the permalink. What did you have in mind? I’m very happy you enjoyed the blog.